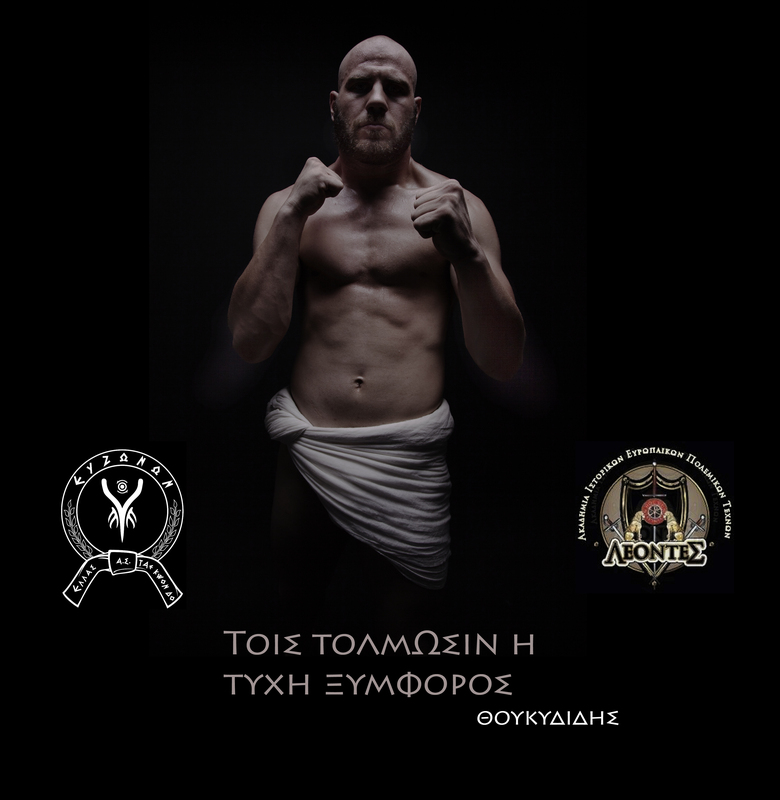 The following article was first introduced by Mr. Dimitrios Skourtelis, icon-maker (‘αγιογράφος’ – ‘agiografos’), historical researcher, member of the Hellenic Academy of Historical European Martial Arts ‘Leontes’, and member of the Meyer Freifechter Guild. 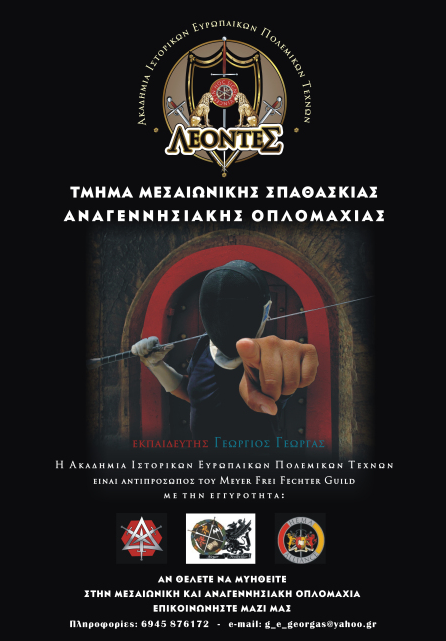 The original article (in Greek language) of Mr. Dimitrios Skourtelis, has been enriched with the technical advise of Mr Georgas (certified Trainer and Fencing Coach of the Greek Fencing Federation, Fechter of the Meyer Freifechter Guild and Member of the KORYVANTES Association), who authorized the publishing of the article in our site. The book ‘Menologion of emperor Basil II’ is an illuminated manuscript about the life and death of Greek Orthodox saints. Actually it is a synaxarion published at the end of 10th century, a gift to the Emperor of the Eastern Roman Empire, Basil the Second of the Macedonian Royal family. This is a premier masterpiece of Byzantine art, signed from eight artists, Pantaleonta, Georgios, Michael the Young, Michael Vlacherniti, Simeon, Simeon Vlacherniti, Mina and Nestor, something extremely rare for the Byzantine art. It currently resides in the Vatican Library (Ms. Vat. gr. 1613). At the martyrdom of the Saints in the Menologion, the executors are not presented as Romans legionaries, but instead as Eastern Roman soldiers (Byzantines), with typical Byzantine armor. If we observe, we can see them presented as young handsome soldiers (“αγούρους – agourous” or “παλληκάρια – pallikaria”), with the typical innocuousness spirit of the Byzantine art (that consider the man as Icon of God, as a result the Byzantine art does not show the executer malformed). The artists had observed the forms of the young soldiers of their time, and they reflected not only their forms but also their combat stances before striking the final blow. It is obvious that those manuscripts reveal us a blurred image of Byzantine swordsmanship. With all respect to the memory of the saints of the Orthodox Church we isolated the forms of the executioners and we quote, with the belief that we can give a good image of some stances of the Byzantine soldiers. The very first thing that we can notice from the illustrations of the manuscript, is the type of sword used by executioners, which essentially the artists ‘photographed’ the soldiers of their time. Therefore the sword of this era is straight, Double-edged and One-handed, so it is a type spathion that was popular at the time of Basil II. The second element that gives us the artists is that these executioners-soldiers do not carry a shield, but they keep their sheath at their off hand. This could be said that there is not something remarkable as long as the executioners do not need defense equipment for this purpose, the execution of a helpless man. However, in my point of view this detail is very important to us because in later frescoes, such as at the icon of St. Theodorus who slay the dragon, the Saint holds his sword and his sheath in the same way as the executioners-soldiers of the ‘Menologion of emperor Basil II’. Also in other martial arts of the East, the use of the sheath is important, something that we also can observe in the Ottomans of the 15th-16th century with the use of saber-type swords. The most important is that all the portraits of the warriors of the ‘Menologion’ are almost the identical with the legendary Fechtbook of Walpurgis or the MS I.33, for the upper stances. Besides, other stances would not have reason to be ordained at the ‘Menologion’, where shows to us executions of the Saints and not duels. The main difference with the fight book of Walpurgis, is that the Byzantine warriors do not use small shields, they rather use the sheaths of their swords. On the other side, the images of the ‘Menologion’ give to us great information about the placement of fencers feet on each stance, once in MS I.33 the feet location does not given good and the reader of the fight book must have a nice imagination to understand the correct place of the feet. This is another indication that the author of the MS I.33 was probably familiar with (one way or another) with the Byzantine swordsmanship, something that we approached in previous study on the research of Mr. Timothy Dawson on this matter. MS I.33 presentation of the guards. Image may be copyrighted. the mindless monk, and the deceitful old woman. to the breast give the sixth, and finally have you the langort‘. Image may be copyrighted. It is clear that the ‘Menologion of Emperor Basil II ’ is not a fight book to provide detailed description of duels or combat advices, nor we intend to present it like a fight book. But, beyond any doubt, the impressive detailed and realistic images reveal us the guards used from the Byzantine soldiers. Unfortunately we have not yet discovered a book or a manuscript or scroll where we can find how our Byzantine ancestors named each guard (if they did) or provide more details of drills or combat techniques. On the other hand, the Imperial Byzantine books or the tactical books written from Imperial Generals, such as the Strategikon of Kekavmenos, provide us the information that the Byzantines used the combat style of Romans and ancient Greeks. This means that through ancient Roman books, or even German fight books where their authors describe as Roman combat style, easily we can have an image about the Byzantine swordsmanship. This can be more easier if some one is familiar with the art of fencing, so he can understand the progressive attacks and defenses from each guard. In the land that those techniques were borne, they are studied, tested and taught.